Armed with bold, new curatorial leadership and approaching its 75th anniversary, the Institute of Contemporary Art/Boston (ICA) was at a critical juncture. After several successful years with notably high-profile exhibitions, the Museum was experiencing stalled momentum, and was losing visitors to emerging competition. With the opening of its iconic new building in 2006, however, the institution launched the revitalization of the city’s waterfront while reshaping how the city and the world think about contemporary art and architecture in Boston. 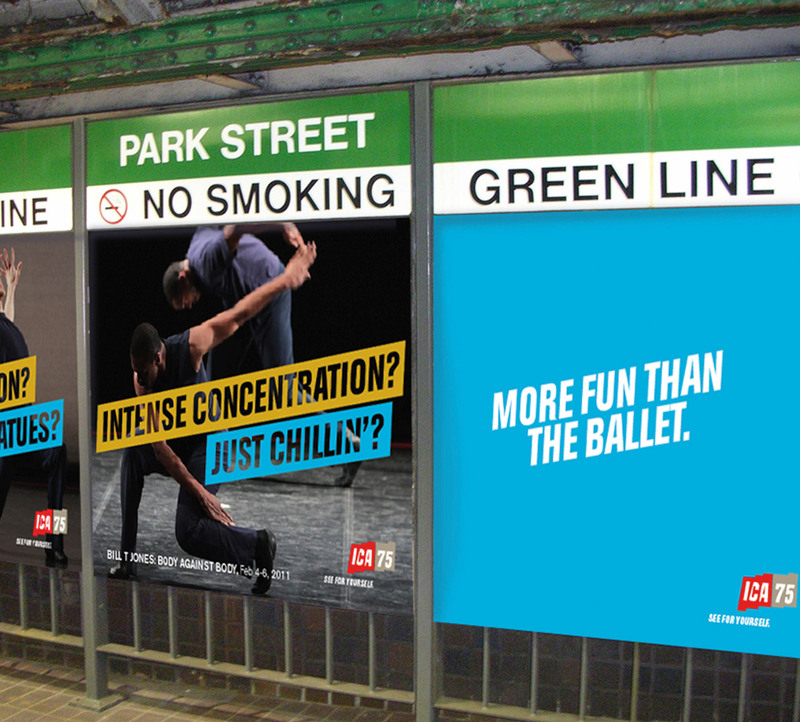 In an effort to raise recognition and engagement, the ICA hired Minelli to refresh its brand position and develop a vibrant visual identity. Through a series of focus groups with current and potential audiences, we defined several barriers that needed to be addressed in order to clarify misperceptions and increase visitation. We helped the Museum to become as creative in their approach to communications and visitor experience as they are in their selection and presentation of contemporary art and demonstrated new ways of thinking and behaving that will appeal to a wider group of audiences.